Our clients turn to us to stand out in the market. Health IT company executives are often confronting critical strategic decisions or embarking on new market/product initiatives. We are called on in these instances because of our experience and expertise. We understand that new products need to do more than simply meet a checklist of government-issued features. We also have both the expertise and resources to help clients leverage changing market conditions to differentiate from the competition. Our clients benefit from our objective and comprehensive perspective of various market spaces and strategic scenarios. Our healthcare knowledgebase spans key market areas from clinical health information exchange to population health analytics to data standards. We identify high impact drivers and trends and develop insights specific to our clients’ interests to best inform their business decisions. We maintain in-depth profiles of the major and emerging EHR, HIE, patient engagement, and population health analytics vendors. We are constantly updating our profiles to show the latest market share rankings, strengths, weaknesses, differentiating characteristics, customer wins, key metrics and strategic direction for these vendors. 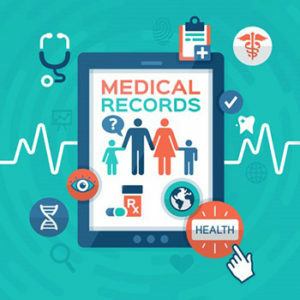 Our experts in health IT regulations have in-depth understanding of the meaningful use, Medicare Shared Savings regulations and implications to health IT vendor product strategies and plans. Our experts in standards are key contributors to the advancement of HL7 CDA, Direct Project, and thought leaders in the electronic drug data standards arena. Using Voice of the Market data, we work with our health IT vendor clients to evaluate strategic market and product opportunities. Our consultants’ years of experience in product strategy and development make us the perfect partner to include a candid, in-depth assessment of your product(s) as you evaluate strategic alternatives. We help our clients identify and prioritize business opportunities and threats given the flood of regulations affecting HIT vendors and their customers. From the Medicare Shared Savings Program health IT-related rules to the Medical Loss Ratio’s quality improvement criteria, we’ve helped numerous HIT vendors create market/product strategies to leapfrog their competitors. Their customers are also able to comply and thrive in the regulatory environment. The industry’s move toward value-based care is creating an unprecedented level of collaboration among different providers and between payers and providers. This blurring of organizational boundaries is also happening in the HIT vendor community. Companies are now challenged with elevating their products’ interoperability and meeting the myriad new requirements of accountable care. These complex structures for new product initiatives require an objective, neutral program manager with an extensive track record of managing multi-stakeholder HIT initiatives. Learn more about program management at POCP. Independent evaluations of vendor products establish credibility and a platform for marketing. We partner with vendors to plan and conduct studies of the value of their products. Our experience and reputation for conducting high-quality research of health IT provides competitive advantage and prepares vendors for longevity. As the industry moves beyond stage 1 of meaningful use, companies need to measure the true value of EHRs in terms of their actual use by hospitals and healthcare professionals. Articulating the value of a company’s products in terms of meaningful use is the next dimension of differentiation. Learn more about our comprehensive model for research.